200 pages of garden and flower themed centers. 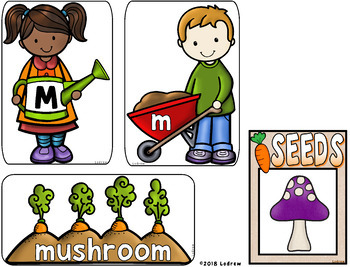 Activities include color words, letter matching, letter order, spelling, beginning sounds, counting, cardinality, subitizing, shapes, ten frames, tally marks, addition, subtraction, visual discrimination, fine motor, graphing, writing, garden centers, flower centers, bundle, no prep, literacy, math, garden activities, spring activities, and more. 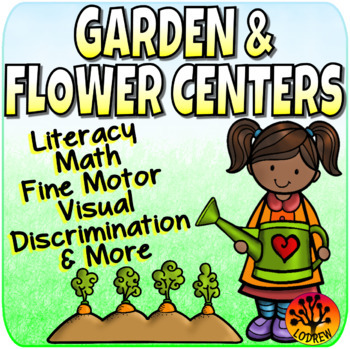 For kindergarten, preschool, SPED, child care, homeschool, or any early childhood setting. Match Upper to Upper, Lower to Lower, Lower to Upper, or Upper to Lower. d] 12 Magnetic Letter Color Words (matches control cards listed above) – for use with plastic letters (color-coded vowels – red, consonants – blue), or use a dry-erase marker to trace inside each letter. 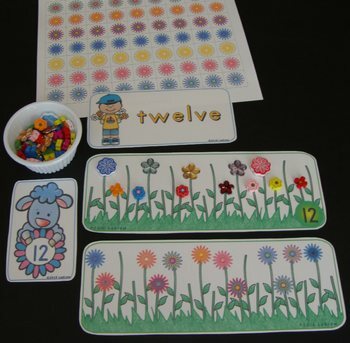 11] 12 Clip The Difference Clip Strips (Flowers) – Use a clothespin to clip the flower that's different in each row. 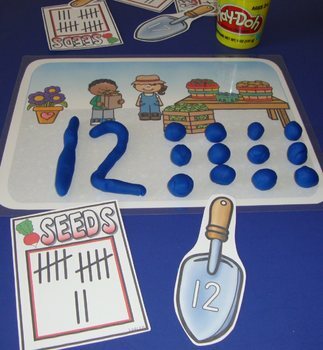 12] 9 Clip The Difference Clip Strips (Numbers) – Use a clothespin to clip the number that's different in each row. 13] 8 Lacing Cards – Cardstock and strong laminate are recommended. Punch holes around card and provide lacing.